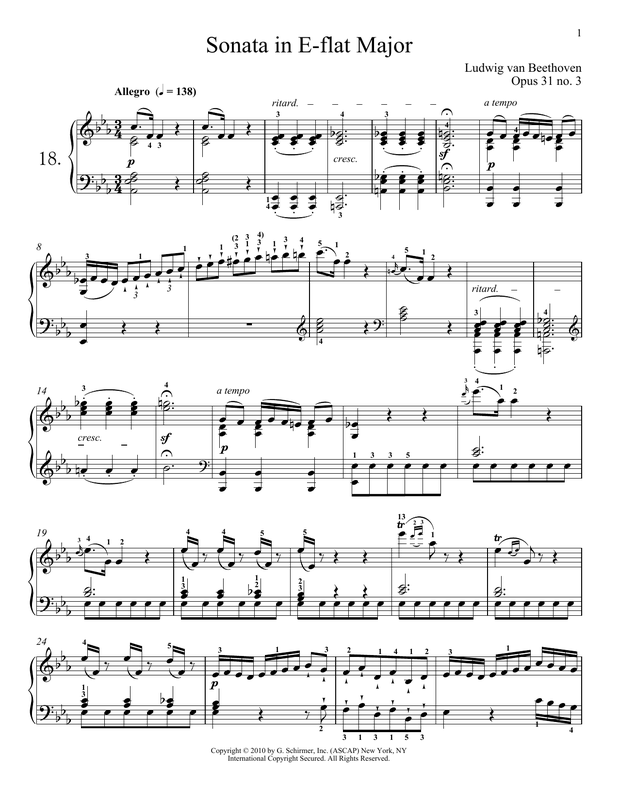 This composition for Piano includes 24 page(s). It is performed by Ludwig van Beethoven. The style of the score is 'Classical'. Catalog SKU number of the notation is 188746. This score was originally published in the key of E♭. 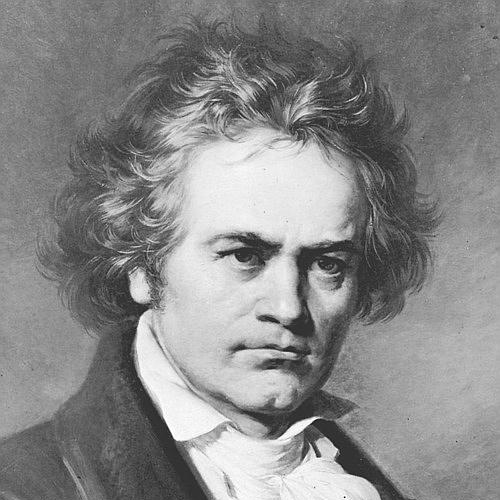 Authors/composers of this song: Ludwig van Beethoven Opus 31 no. 3 ~Composed in 1801–02. This score was first released on Friday 8th September, 2017 and was last updated on Sunday 19th August, 2018. The arrangement code for the composition is PF. Minimum required purchase quantity for these notes is 1. Please check if transposition is possible before your complete your purchase. * Where transpose of 'Piano Sonata No. 18 In E-flat Major, Op. 31, No. 3' available (not all our notes can be transposed) & prior to print.